LIFE IS EATHER A DARING ADVENTURE OR NOTHING! Since you are reading this page, we are sure that you have decided you want to stay in our lovely home away from home and now you are discovering what will you do once you are here. From the obvious such as hiking and admiring the nature, you can choose from many more fun, exciting, daring and breathtaking sports. We will do our best and try to describe them as best as we can. But don’t expect that your decision will be because of our descriptions and photos any easier. It will be harder, because we are sure you will have an unstoppable desire to do all of them! We will start our description journey with rafting. 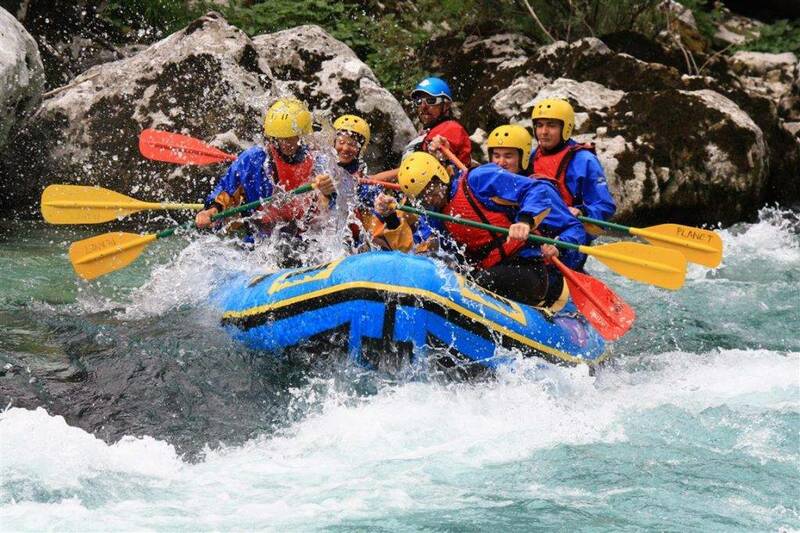 In our opinion rafting is one of the most popular activities people choose while staying in Bovec. By now we are sure you have discovered that Soča river is our proud and joy. Soča river is probably one of the biggest reasons why you decided to visit Soča valley and Bovec. So this is why we are absolutely sure you just have to try out rafting. You can also choose between mini rafting or canoeing or private rafting. Canoe or mini raft is an inflatable canoe just for 2 persons and a guide. Private rafting is rafting with a normal raft, but just for your group and tailored to your wishes. You will jump in to colorful inflatable raft and start your journey down the emerald treasure called Soča river. You will get a totally different perspective of the river and the mountains around you. Besides the rapids, jumps and fun activities guides have prepared for you, you will be mesmerized by the pure nature. So, are you ready for a rafting adventure? 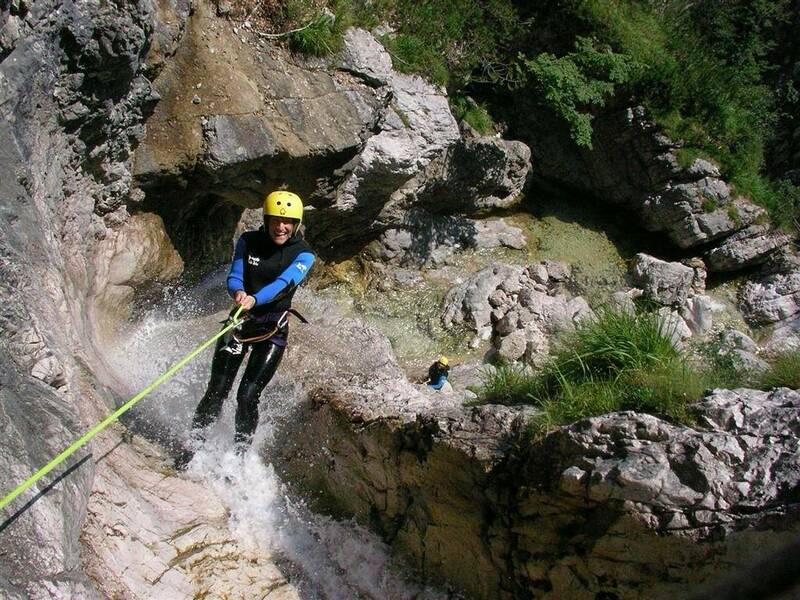 Canyoning is the second most attractive water activity that is a must try while staying in Bovec. A lot of people are mistaken and think canyoning is canoeing. But this two have nothing in common. Canyoning is an activity in the canyon filled with water. Water created these natural slides and they are perfect for sliding, jumping and diving into the water. We do offer different types of canyons, some are filled more with slides and some have more jumps. We can offer longer or shorter canyons. It is all about how much of an adrenalin junkie are you. But don’t let this scare you. You will have the chance to see a video at the reception and you can take your time deciding which one you would want to do. Don’t worry if you don’t have any experiences, you will be guided by professional guides and they will take care of you! Are you ready to slide and jump into crystal clear pools? 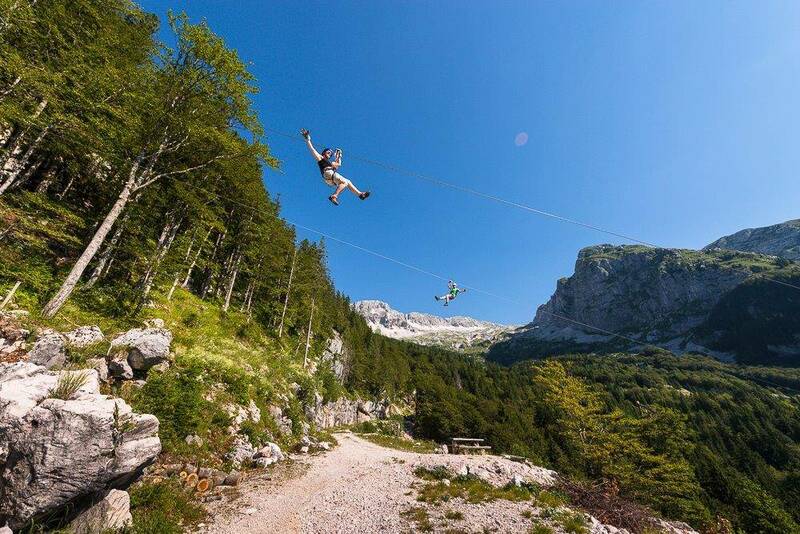 In our opinion and also by opinion of our guests Zip-line is the third activity that most of the adrenalin junkies will try out in Bovec. This activity will show you how the birds feel when they fly over the forests, mountains and valleys. For Zip-line you will be taken to Mt. Kanin on 1300 meters above sea level with a car. The lines that you will be zipping are from 550 meters up to 700 meters long. All together there are 3,2km of lines. Zip-line is a lot of fun, full of adrenalin and we are absolutely sure you will adore the views. 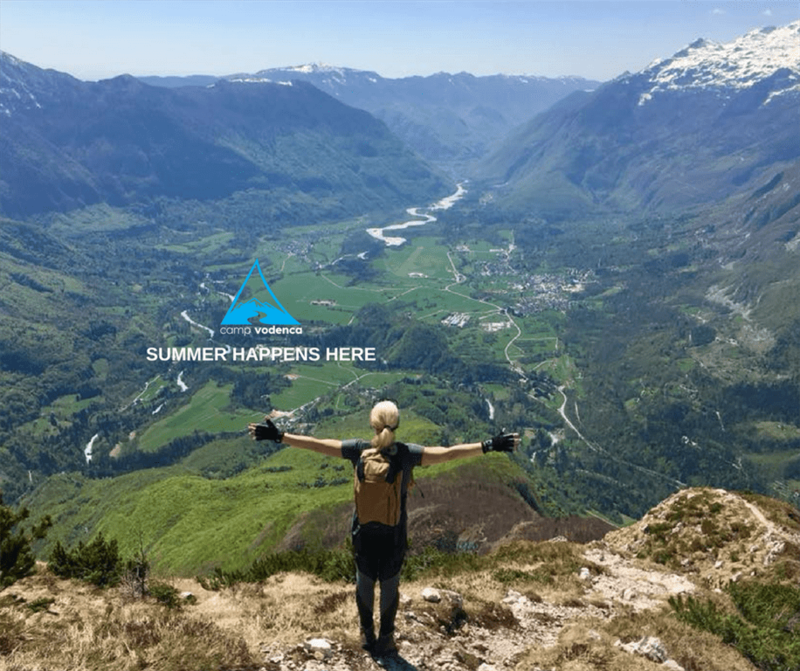 You will have a view of the whole Bovec valley. Ready, set, go…zipping is waiting on you! When you have a relaxing day just sitting on the white pebbles of Soča river, you just can’t help yourself and not stare in to the little colorful boats that pass you by. When you look at them, they just make you feel that you have to try this interesting water activity. And you should! Kayaking is THE reason why Soča river has so many sports activities going on this days. 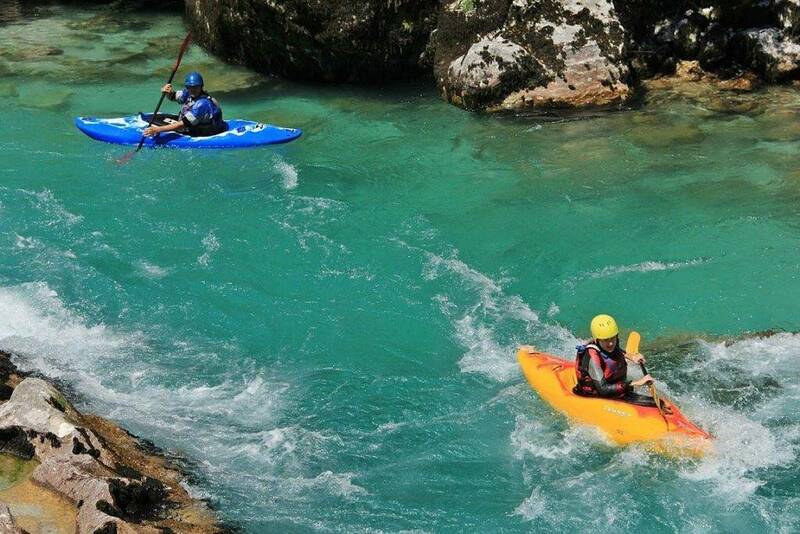 Kayaking was one of the first activity that started in Bovec and on Sočca river. Kayakers from all over the world see how special Soča river is and it is so much fun to paddle Soča or Koritnica river. But you don’t have to be a professional kayaker to do this. You can join a group which will fit your level and you can paddle down the Soča river with professional kayakers who are eager to teach you and show you everything they know. If you don’t feel comfortable being closed in the proper kayak, you can also choose a sit on top option. Now, what are you waiting for? It’s kayaking time! The sky is not the limit, but in this case it’s the destination. 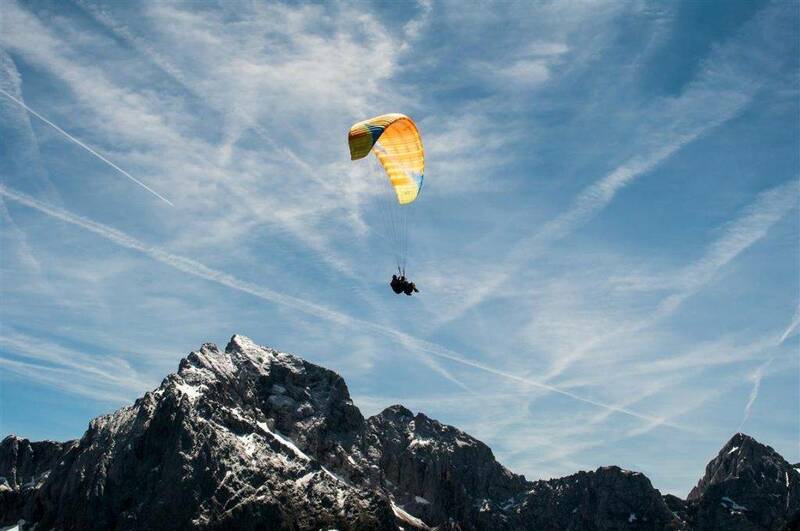 Paragliding in Bovec valley is surely a unique one. The views that will admire after adjusting of being in the sky are something you will absolutely never forget. Run, lift the parachute and fly up high into the sky! Bovec and Soča valley in general is full of little streets and side valleys that are just waiting for your to discover them. 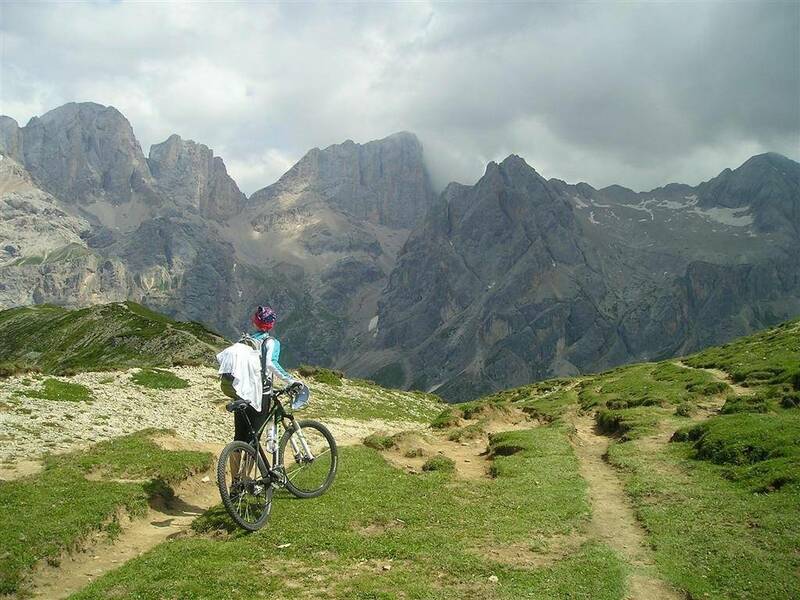 We have to warn you that we are in the Julian Alps and most of the trails are hilly, so you shouldn’t expect much flat trails. But this shouldn’t be a reason for you not to go biking in Bovec. We got you covered! You can rent e-bike, proper mountain bikes with helmets and of course electrical help. They are awesome bikes and you will always have help when you will need one. You can also hire a mountain bike guide to go along with you and show you all this hidden gems that are scattered around our valley. It’s true what they say…bikes bring you places, cars never see. Are you prepared to give biking a try!? We are working with an amazing girl who absolutely adores horses. She created a beautiful route that will take you through the forest, on little paths and to Soča river. 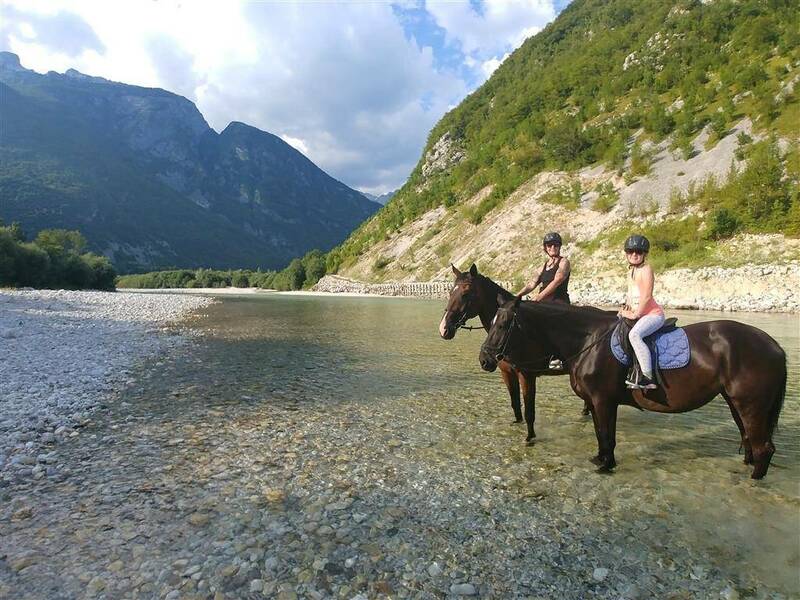 Her horses are sweet and know how to behave well in company, so you will have the best guide there is to show you their stoning part of Soča valley. Rock climbing is getting more and more popular among sports fans. 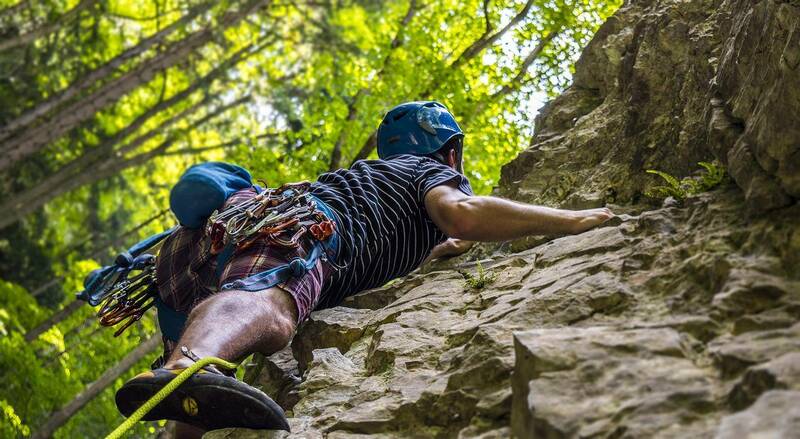 In Soča valley you can find a lot of beautiful climbing spots. We can offer you different difficulties and different places. All climbing spots are on very beautiful areas and are just a joy to hang out, even though if you aren’t climbing. But we encourage you to give climbing a try and maybe you fall in love with it and you will want to continue with it even after your holidays! Are you ready to climb, the mountain is calling!? Caving is a perfect evening/night activity. Meaning, you don’t need much sun for caving. There are some beautiful caves in our valleys and if you don’t feel like going out partying, you can make it a special caving night. 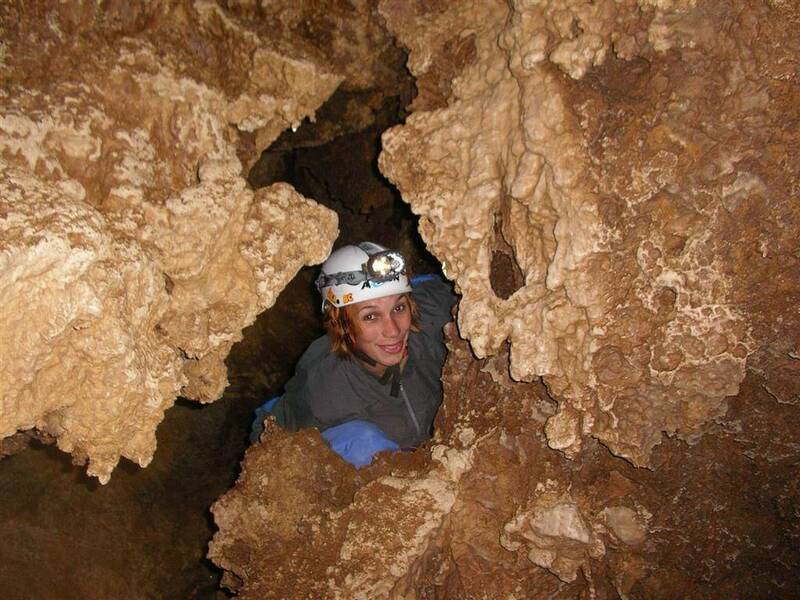 But not to be mistaken, caving can be done during the day as well! You will see nice caves, beautiful fossils and crawl in the underground tunnels and secret places. Are you ready to go underground? This is a good option for all of those who don’t want to explore the area on their own or just want to get more knowledge. We can offer you different guided mountain, historical or natural trips. You can let us know what would you like to do and what would you like to see and we will fit you with the best guide that would suit your needs.